My daughter says my blog title is like the name of a pub. Just like a pub anyone who happens by is welcome. 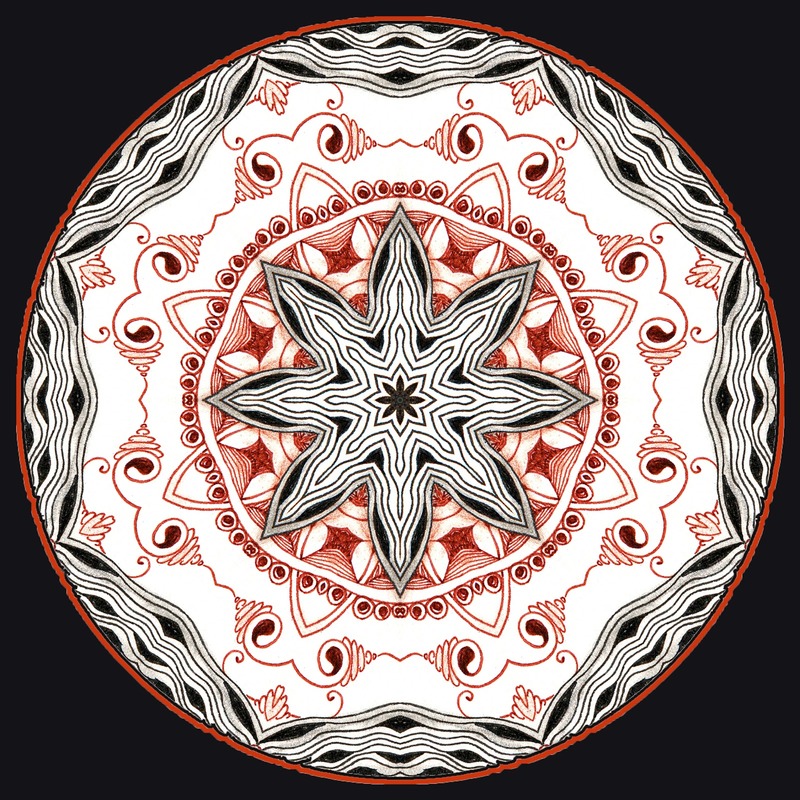 This kaleidoscope was generated with Kaleidoscope Creator from a zentangle drawing. The original Zentangle was posted on Laura Harms blog. It came from one of her challenges. Can you guess which challenge it came from and which tangler drew it? When you think you have guessed the challenge, then, for a quick search for the tangler, view the slideshow for that challenge at at Diva Challenges 2012. If you know the answer please leave a comment. There are no prizes for getting it right but if you thought this was fun, I would like to know. I have plenty more where this came from and I could post some more puzzles. I'm pretty sure I know the answer to your puzzle. I have used all 4 variations of it myself. Is it the Rock n Roll version of Diva Dance? I love where I live, just outside Banff National Park in SW Alberta. This enables me to indulge all my favourite activities, skiing (nordic and downhill), snowshoeing, hiking, cycling and, of course, quilting and tangling. I am a member of the Mountain Cabin Quilters Guild. I like listening to all kinds of music especially classical and opera. I am a big fan of The Big Bang Theory.